17th April 2015 . Fellow citizens, through the High Commissioner for South Africa, I would like to call for calm in that beautiful country of South Africa. The recent images of xenophobia that have led to the maiming and in some instance killing of foreigners in that country are shocking. The events of the past weeks are very unfortunate and should not be happening in an African country or indeed any other country in the world where love should be the precursor in everything we do. The South African Government must act now to avert this from spilling over to the other countries. The potential of retaliation is very high, and that could engulf the whole continent. Let us avoid this as much as possible. To my fellow citizens, I am reliably informed that there are plans for a protest against South African establishments. All protests to register displeasure over these xenophobic attacks must be PEACEFUL. There is no need to retaliate. 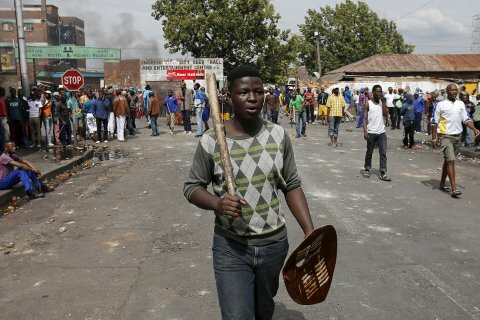 The South Africans resident in Zambia should go about their business without fear of being maimed or killed as a result of events in their home country. To the PF Government, let them rise to the occasion and account for all our citizens in South Africa. Every responsible Government must and should have issued a statement by now from the highest office to give assurance to us all that all our relatives that are there are safe. This has not been done. I urge President Lungu to quickly instruct his embassy in South Africa to give him a report on the state of all Zambians in that country. As I end, let me state again that all Zambians should remain peaceful in your protests and embrace our brothers and sisters from South Africa irrespective of what is happening in their country of origin. Undeniably consider that that you said. Your favorite justification seemed to be at the internet the easiest factor to be mindful of.